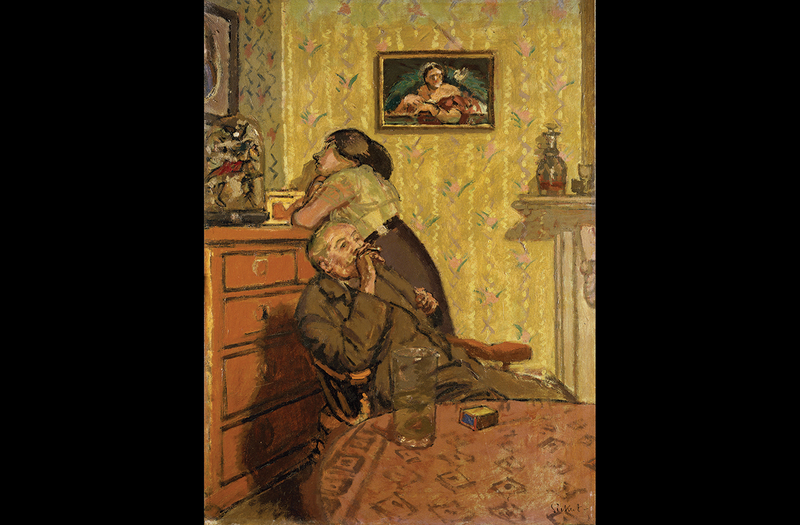 Ennui is Sickert’s interpretation of the boredom of married life, and is the last of his five paintings of the subject. The first, exhibited in 1914 (Tate Gallery), was painted at 15 Fitzroy Street, London, but inspired by ‘a decayed first floor’ on the corner of Granby Street and Mornington Square. The models were Hubby, an old school-friend of Sickert’s who had fallen on hard times, and whom Sickert looked after; and Marie Hayes, who may have been Hubby’s wife, and who modelled for Sickert on several occasions. He puffs contentedly on a cigar, while she stares hopelessly at a glass case of stuffed birds. 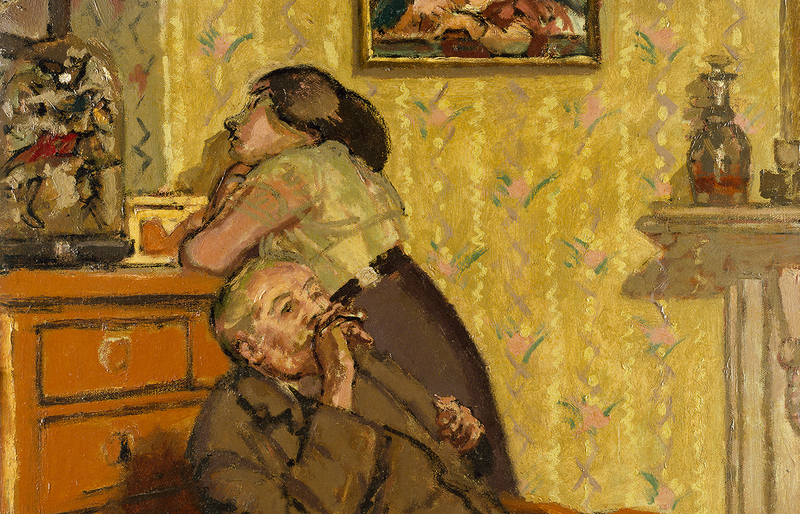 This version from the series of Ennui paintings is described by many critics as more successful than the original. Although the composition is almost exactly the same, Sickert used brighter colours and replaced the dull walls and blank table with patterned wallpaper and table cloth. This together with the reduced size of the canvas has created a more claustrophobic atmosphere, which adds more emphasis on the unsaid words between bored husband and wife.